The legendary skiing is complimented by first class facilities, chic bars, Michelin-starred restaurants and infamous aprés ski with live music - making this the perfect destination for groups of all ages. The restaurants in town offer a diverse selection of local and European cuisine. On the chalet hosts day off we are happy to recommend restaurants and make reservations. 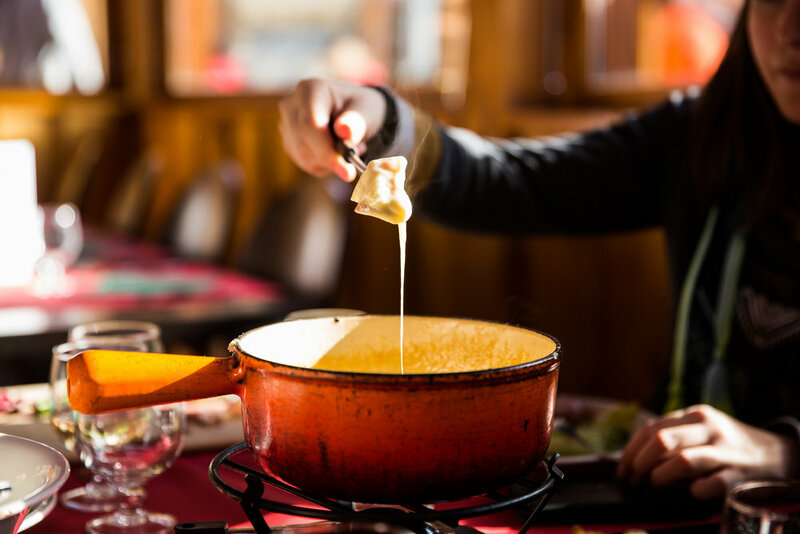 You could sample French specialities such as Raclette (melted local cheese with charcuterie and salad), Pierre Chaud (meat cooked on a hot stone), or French classic cheese fondue. Maybe it's just us but even after a great breakfast our thoughts turn to lunch round about, oh, first lifts! Luckily then that Meribel and its surrounding valleys have some of the best pit stops in the whole of the Alps. Whatever your budget there is something delicious just waiting to fix you up till one of TG Ski's infamous afternoon tea cakes! Part of the fun of skiing is finding those hidden mountain gems for the best hot chocolate stop or the ultimate cheese feast. But here are our recommendations to help you start off your stay in the best culinary way. Blow the budget... If you're looking to celebrate a special occasion like a wedding anniversary or your first black run then La Bouitte, (+33 4 79 08 96 77) a Michelin-starred restaurant a stone's throw from St Martin in St Marcel should be done on your speed dial. They pick you up from the slopes, swap your ski boots for fluffy slippers and feed you like royalty - truly, it's a place to remember. Crunch your credit card... Courchevel's Le Soucoupe (+33 4 79 08 21 34) will need booking in advance because it's fabulous open grill and giant steaks have people making reservations way before they even book their holidays! Beautiful shabby chic style with breath taking views plus all levels of skier (and even keen walkers) can get there. Closer to home La Plantin (+33 4 79 04 12 11) is a great fine dining find between La Tania and Meribel that will give you an adventure through the trees to get there. They'll drop you back in Meribel Village when you've had your fill. 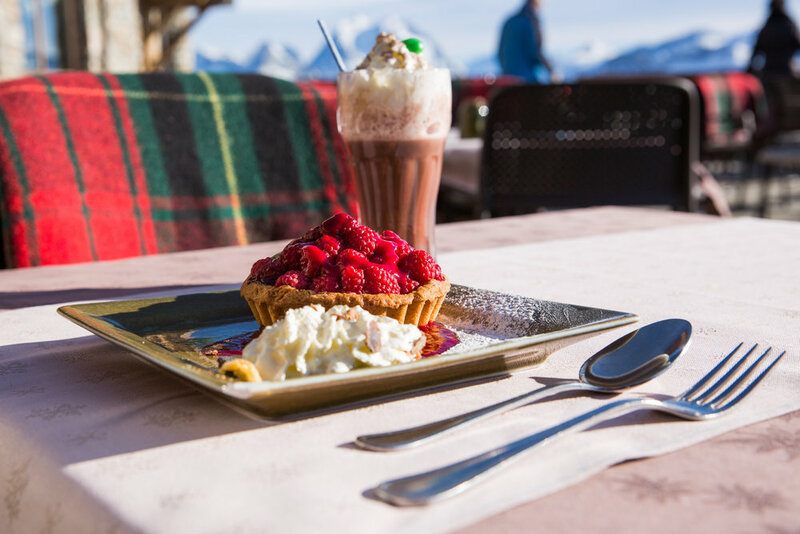 Wallet friendly... For chalet nights off and mooching round Meribel, La Gallette and its sister restaurant L'Igloo (both +33 4 79 08 53 90) are great value for money. If it's Savoyard specialities you want head to the cosy and traditional La Gallette. L'Igloo is more contemporary and serves great pizza. Beautiful bargain - you'll not find a better burger than Mountain Burger Mottaret. What it lacks in surroundings and seating area it more than makes up for in delicious double hand holding sandwiches! Even veggies are catered for with their amazing raclette burgers. This hole in the wall is easy to find, just head for Mottaret's Sherpa and the queue of fluro clad seasonaires. If it's just a sophisticated drink you're after away from the Jaeger bomb crown, La Maison (+33 4 79 07 17 26), an uber cool Parisian style café is perfect for a post piste Pinot.